Baroness Ruth Henig, Chairman of the Security Industry Authority (SIA) was recognised with a special Building the Future award for significant contribution to the regulated security sector at last night’s Security Excellence Awards (SEA). The award was presented by Interconnective Ltd MD Bobby Logue and Brian Sims, Media Solutions Manager for UBM Live’s Security Portfolio. Under the leadership of Baroness Henig, the Security Industry Authority, has significantly improved over the past six years. Today well over 90% of Security Industry Authority licences are issued within the target time of five weeks with nearly 25% are finalised inside a week. She developed strong relationships with all stakeholders in the security industry developing a blueprint which defined what a modern regulated security industry should look like. She worked with the key industry bodies in fine tuning the plan which was presented to Government. The SIA has built effective partnerships with the police, carrying out a series of successful prosecutions. “Ruth has been the SIA’s chairman since January 2007. In her modest way she would attribute credit for the SIA’s successes to others, however, Brian and I believe the way in which an organisation behaves reflects its leader. 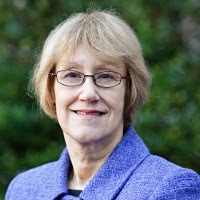 Baroness Henig has led on definitive change: better services, better value and better relationships from a credible regulator covering the whole of the UK. ” Bobby Logue told the SEA audience. Earlier Brian Sims introduced the award; “In 2003, Interconnective Ltd introduced the Infologue.com ‘Building the Future’ award. This award is bestowed upon the individual or organisation that has used the last 12 months and more to create a significant footprint.